Located in the Simi Valley of Southern California, Simi Surgery Center (SSC) is a center of excellence dedicated to state-of-the-art medicine, convenience, accessibility, streamlined admissions and application of many advanced outpatient surgical techniques. The center has been developed to provide area physicians and their patients with a high-quality alternative to both hospital-based surgery and existing surgery centers. Specialties include General Surgery, Gastroenterology, Plastic Surgery, Podiatry, Otolaryngology, Urology, Orthopaedic, Pain Management and Vascular Surgery. Opened in 2006, our warm, comfortable, outpatient setting enables you to return home on the same day to recuperate in familiar surroundings. 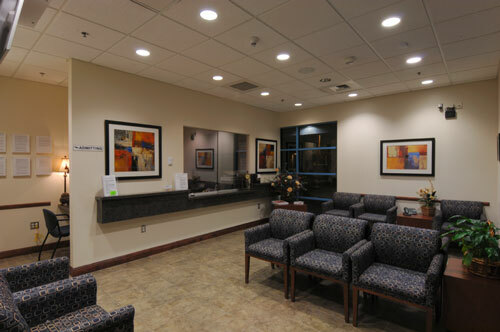 Our center offers a safe, convenient, high quality alternative to inpatient hospitalization. Simi Surgery Center is fully licensed by the State of California and the Federal Medicare program. We are very proud to be accredited by the Accreditation Association for Ambulatory Healthcare, a national organization committed to promoting high quality ambulatory healthcare. Our RN clinical staff are certified in Advanced Cardiac Life Support (ACLS), Pediatric Advanced Life Support (PALS) and Cardio Pulmonary Resuscitation (CPR). Our Anesthesia services are provided by board certified Anesthesiologists specializing in outpatient anesthesia as well as pediatric anesthesia. ©2009 Simi Surgery Center, Inc. All rights reserved.